Modafinil detox is a challenge for any addict. Going through Modafinil withdrawal is never an easy task, due to the strong symptoms experienced and the cravings for the drug. While going through withdrawal from Modafinil, both physical and psychological symptoms will be present, which is why it is important to have help with treatment and know what to expect. This will ensure that your Modafinil detox goes as smoothly as possible. According to The US National Library Of Medicine, Modafinil is a drug used primarily to treat narcolepsy and keep the user awake and alert. However, the drug is often mistreated by those who wish to stay awake longer, perhaps to study or do several jobs in a day. This mistreatment of Modafinil often leads to addiction. Addiction to Modafinil can be dangerous both physically and psychologically, so it is vital to get treatment and detox as soon as possible. Many people use the medication to get high on Provigil. Despite this, Modafinil withdrawal itself isn’t without its dangers. The Provigil detox process may be an arduous one, due to the severe Modafinil withdrawal symptoms you will go through. 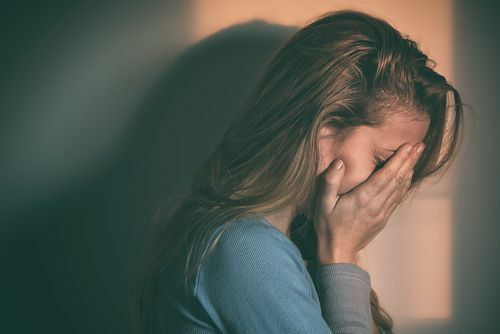 Withdrawal brings both physical and psychological symptoms of its own which can plague the individual with pains and mental challenges, that are difficult to overcome alone. This is why it is so important to get the most suitable treatment plan for you, where you may get the support you need. Modafinil withdrawal symptoms can be both physical and psychological. However, both sets of withdrawal symptoms are equally difficult to deal with alone so you should always ensure you have the support you need. Lack of concentration – The drug enhances concentration so when no longer taking it, it may become a challenge to keep focus. Mood lows – This a standard feature in drugs that alter your brains chemicals. Shortness of breath – Often down to the effect on your bodies heart rate, this is one of the more dangerous Provigil withdrawal symptoms. Extreme Fatigue – Entirely down to a relapse. The drug is used to stay awake, and suddenly the body doesn’t have the drugs assistance to do that. Depression – This is due to the drug providing specific antidepressive effects, and the sudden lack of them triggers a relapse. Anxiety – Similar to depression, the extreme focus the drug provides permanently prohibits general fears and, the loss of the drug causes a relapse in this area. Lack of energy – The body has adjusted to the effects of the drug and without it, you may suffer from a lack of energy as well as motivation. Dreariness – This loss of the drug in your system can mean you steadily lose focus. Constant desire to sleep – The original sleepiness may gradually return, not just because of relapse but down to the narcolepsy itself. Modafinil detox is a tough process so many people like to know, how long does Modafinil withdrawal last? Modafinil withdrawal duration does vary slightly from person to person. However, there is a reasonable range to help gage how long a user will have to suffer withdrawal symptoms. Most Modafinil withdrawal symptoms will show themselves within the first week of withdrawal, with most users being extremely fatigued during that period. Other users will merely return to their old symptoms of narcolepsy. The main issues with Modafinil withdrawal, is many of the symptoms are blurred in with a users reaction to no longer functioning with cognitive enhancement. This means it is difficult to understand when the withdrawal symptoms end. Despite this, it is believed that symptoms will begin to weaken after the first week and physical symptoms will continue no longer than four weeks. On the other hand, psychological symptoms may last a little while longer, especially if the user doesn’t receive any counseling or psychotherapy. Withdrawal from Modafinil is often easier if the user decides to taper off from their usage. This means they gradually reduce their dosage to lessen the withdrawal symptoms. This is also a much safer way of withdrawing than going cold turkey, despite it taking longer in duration. Starting treatment as soon as possible is vital in any drug recovery. Modafinil withdrawal treatment is no different. There are some drug treatment programs ready to treat you most suitably and effectively, from inpatient to outpatient treatment, as well as counseling and psychotherapy. Treatment for Provigil withdrawal, whether it is completed as an inpatient or as an outpatient, will help you to stay clean and find effective ways of dealing with cravings and Modafinil side effects. Whether you benefit from supervision or freedom, there is an ideal program to efficiently detox and overcome Modafinil. Once detox from Modafinil is completed, it is essential to stay on track with your recovery. For many Modafinil addicts, cravings for the drug will continue to a lesser degree and therefore still be an issue. This is why it is important to have techniques for dealing with cravings, as well as still attending therapy sessions. These sessions and techniques will help an individual to stay on track after their detox is complete, giving them for of a chance of staying sober. It is vital that you keep attending these sessions. If you do, life after Modafinil addiction will continue to improve, and you will feel the health benefits, especially neurologically. 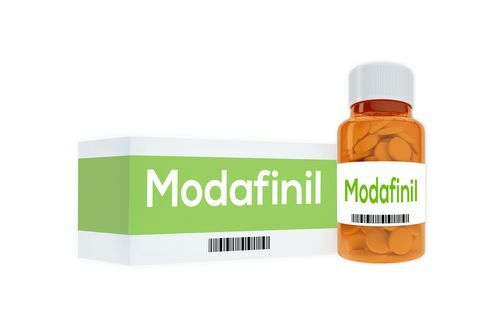 If you are experiencing Modafinil withdrawal symptoms and you do not have the medical help you need then call our hotline at (888)-459-5511. We will aim to help you find a treatment center and program that is suited to your needs, to give you the care you desire.